Salman Khan And Prabhas To Work Together In Rohit Shetty Movie? 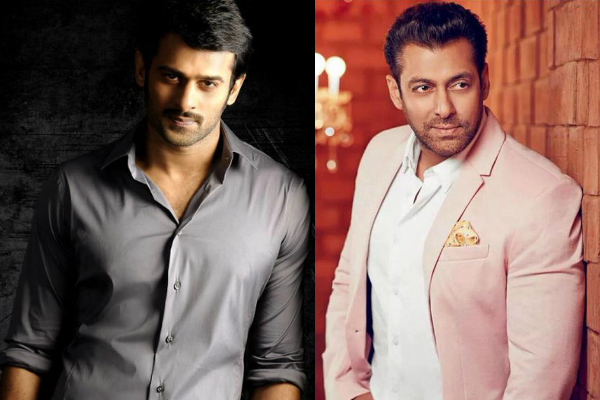 Entertainment Salman Khan And Prabhas To Work Together In Rohit Shetty Movie? After the success of Baahubali 2, Prabhas is considered as an A-lister actor in Bollywood too. Fans are eagerly waiting for his Bollywood debut and every day some rumors pop up regarding his launch. 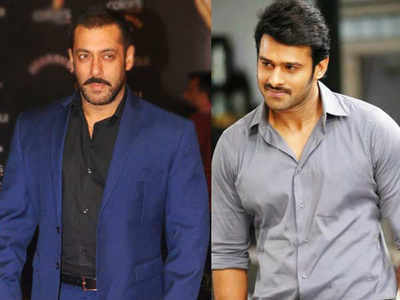 According to the reports from DNA, Rohit Shetty is planning to launch Prabhas in a Hindi movie with non-other than Salman Khan. Meanwhile, Prabhas is busy working on her next project, titled Sahoo. It appears to be an action-drama and features Anushka Shetty in the lead. Interestingly, Neil Nitin Mukesh will play the role of villain in the movie. It is directed by Sujeeth and produced by UV Creations. Shankar-Ehsaan-Loy will render the tune. The film will be made on a budget of Rs 150 crore. Salman Khan is too busy in promoting his next movie, Tubelight. The star is collaborating again with director Kabir Khan after the success of Ek Tha Tiger and Bajrangi Bhaijaan. Salman will also be seen in the sequel of Ek Tha Tiger, Tiger Zinda Hai, opposite Katrina Kaif. Rohit Shetty is currently working on Golmaal again, starring Ajay Devgn and Parineeti Chopra. He has played the judge of the television show Comedy Circus.